In the past five years in the NHL, we’ve seen four teams win and hoist up the Stanley Cup, Pittsburgh won it twice. Now, some of these stories are better than others which brings us to this list: from least favorite to the most favorite, ranking the last five Stanley Cup Winners. After winning it against the San Jose Sharks in the 2015-2016 season, the Penguins were looking to two-peat against the Nashville Predators. The Penguins were already a phenomenal team who didn’t have much change in the offseason, so it was pretty much the same team. The series was close, but the reason this year’s finals was the most boring of the five is because it was like waiting all year long just to see the same outcome. Repeat champions are only fun for the actual champions, but for the rest of the league, it can get pretty dry, so for that sole reason, the 2016-2017 Pittsburgh Penguins rank number five on the list. At this point the Blackhawks were a feared team around the league. Taking on the Tampa Bay Lightning in this year’s Finals, the Blackhawks took this one in six games, winning their third Stanley Cup in six years. Having relatively the same primary players such as Brandon Saad, Patrick Sharp, Patrick Kane, Jonathan Toews, Duncan Keith and Corey Crawford on the team, it is clear to see that these players knew how to play with one another, making them almost unstoppable. The reason this Stanley Cup Final was also fairly boring was because seeing the Blackhawks win their third Cup gets pretty repetitive and boring for the rest of the league. No doubt it is impressive, but it isn’t exciting seeing repeats. After the reigning Lightning had their turn as Eastern Conference Champions, the Penguins were able to turn the spotlights on them as they marched their way to the Stanley Cup Finals against the San Jose Sharks. Now seeing the San Jose plow their way to their first ever Finals appearance was exciting, but Pittsburgh was just better, beating the Sharks in five games. The reason this one comes in at number three (as the average Stanley Cup Finals in terms of excitement) was because Pittsburgh sort of ruined a better Cinderella story that the Sharks had going for them and kind of made this Final disappointing. They did, however, have a story of their own with their dominating rookie goalie Matt Murray leading the charge. This team really was a Cinderella story. To start their 2014 playoff campaign against the Sharks, the Kings went down three games to nothing in the first round, but with hard work and determination, the Kings came back and won the series four games to three. In the second round against the Anaheim Ducks, the Kings took a 2-0 lead over the Ducks, but Anaheim almost came back and took a 3-2 lead over the Kings. However, the Kings fought through and won the series. In the Conference Finals against the Chicago Blackhawks, the Kings managed to capture a three games to one lead over Chicago, but Chicago tied it at three games a piece. LA would take game seven in overtime thanks to a goal by defenseman Alec Martinez. The Kings would go on to win the Stanley Cup against the New York Rangers. An up and down roller coaster ride for the Kings really made things exciting which is why they rank at two. This was pretty evident to see coming, the Capitals. This team had gone through so much heart break losing to the Penguins at least three times and never being able to make it past the second round. When they finally exercised their demons and beat the Penguins and made it past the semi-finals, it was clear that nothing would hold the Capitals down. They would go on to face the newcomers, the Vegas Golden Knights, beating them four games to one to win their first ever Stanley Cup. 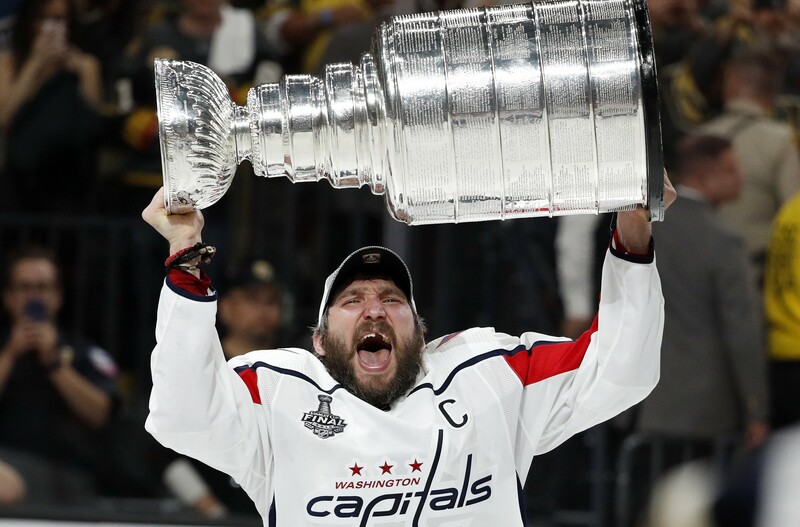 For 43 years, the Caps have waited and all that hard work finally paid off. Alex Ovechkin is still holding that Cup as we speak most likely! They truly are the best out of the listed five because it is nice to see good things happen and hard work and patience finally pay off! So those are the rankings for the last five Stanley Cup winners. Each team was special in their own right as they had to overcome their own hurdles. Now, they are immortalized and could go down as some of the best teams ever.